Christ Church college in Oxfordshire forms part of Oxford University, and was the inspiration behind the great hall staircase in the first Harry Potter film, which saw various stair parts moving through the air from one position to another. When you have Oxfordshire stair parts made by Pear Stairs, you will want to keep them on show for all to see, unlike the scene in the Harry Potter film, which begins with the balustrade and spindles retracting into the wall and out of sight. The combination of state of the art modern manufacturing methods and traditionally skilled craftsmen enables Pear Stairs to produce stair parts such as hand-carved newel caps, which will transform your staircase into a piece of furniture fit for the grandest of Oxfordshire’s buildings. Many other famous books and films have had scenes inspired by the historical architecture of Oxford. There are numerous tourist tours that take place around Oxford in which you can visit the famous locations shown on the big screen. 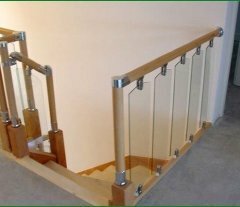 While taking a tour of Pear Stairs' website, you can view the staircases and stair parts available in Oxfordshire, made from a wide range of high quality materials, including glass, aluminium, stainless steel, hardwoods and softwoods, now adorning the homes and gardens of happy Oxfordshire customers. Pear Stairs can make stair parts from treated wood that is suitable for use on external staircases. Allowing you to enjoy a stylish staircase both outside as well as indoors. From small flights of steps onto decking to ones ascending more than one floor, treated wood can be mixed with other materials to help create a seamless transition from garden to home. So you can be assured that whether it be an Oxford college, university, town house or garden, no matter what type of staircase or stair part you are looking for, Pear Stairs has you covered. 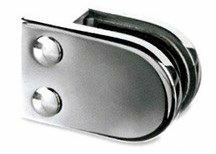 Contact us or take a look in our on-line shop to find out more about the range of Oxford stair parts we have available.